I’m going to show you how to write an awesome personal statement for medical school so that you can become a doctor. Before getting started there’s one thing you must understand. 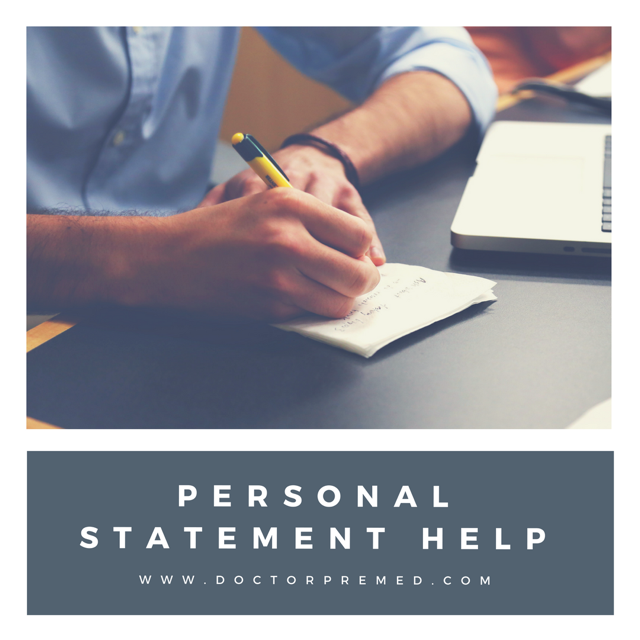 Do you know the purpose of your medical school personal statement? If not you’re going to be in a world of trouble. To get you to a medical school interview. Keep this in mind at every stage of the writing process. You are writing to show medical school admissions officers (a.k.a. AdComs) why you should be admitted over everyone else who wants to become a doctor. If you keep this in mind you can’t go wrong throughout the writing process. The rules for writing your personal statement for medical school are pretty open-ended. The biggest constraint you’ll face is the length of your medical school essay. You only have 5,300 characters to write your “Personal Comments” essay as the Association of American Medical Colleges (AAMC) officially calls your medical school personal statement. Please note spaces are counted against your character limit. 5,300 characters is approximately one-page if you were wondering how long to make your essay. And yes, every applicant applying to medical school is required to write a Personal Comments essay. As you can tell, you are given a lot of freedom when it comes to the writing of your personal statement for medical school. But I want to share with you two questions which you absolutely must address in your personal statement. These two questions come from a top 20 medical school who presented at our “Annual Medical School Day” a medical school college fair that I was responsible for putting together while president of the premed society at Northwestern University (Evanston, IL). Those who have strong essays will certainly answer these two questions. Why Medicine and Why You? How you go about answering these two very important questions matters a lot. Never come out and answer the question directly, instead the answers should be carefully woven throughout your personal statement for medical school so that by the time your reader is finished with your essay they have a concrete understanding of your answers. In the first question of, “Why Medicine?,” this is your chance to inform the admissions committee why do you want to become a doctor. This is your chance to talk about your motivations and goals for a career in medicine. Some applicants will convey personal stories of an illness affecting them or a close family member and this gave them their motivation to pursue medicine. In actual reality, this is how I came into medicine myself. “One call would forever change my family…. The above is a taste of how I personally opened up my personal statement for medical school and and later I will share some of the nuanced details that you may have missed when reading those words, but I will show you how powerful they can be and how you can do the same for yourself. Basically, I want you to answer why do you want to pursue medicine. Obviously, I went into a lot more detail but the focus shouldn’t be on me because my goal is to ultimately help you write an awesome personal statement for medical school that gets you lots of medical school interview invites. What this question is getting at is what makes you so special that you deserve the privilege of being trained to be a future doctor. Here you have to make the case of why you should be admitted to medical school as opposed to the 53,000 other applicants. If you’re able to pull this off then you will be on your way to your white coat ceremony in no time. Please remember medical schools are looking for diversity. Diversity is not like what you’re used to. Don’t think diversity is all about race/ethnicity because this is only a very small factor. Besides if that’s all diversity meant then why would AdComs waste time having medical school applicants complete such a rigorous application process? Here’s what you need to do when it comes to diversity. Talk about your extracurricular activities, your life experiences and what sets you apart from all the other applicants. If you’re a college athlete that could be the diversity you bring to the incoming medical school class. Or maybe you did advocacy work for a marginalized population, that would be considered diverse. Perhaps, your upbringing has been very non-traditional and you stand out because of events from your past. As you can see there’s a lot that falls under the umbrella of diversity. Overall, your job with your personal statement for medical school is to make a very convincing case of why you deserve to be admitted to medical school over everyone one else applying. How you go about that process matters too. One key thing you have to remember with your personal statement for medical school is that it is not a resume in prose. You are not writing your activities and extracurriculars in paragraph form. Absolutely avoid rehashing details that can be found elsewhere in your medical school application. You have to use every opportunity you have to make the strongest case for yourself of getting into medical school. In particular with your personal statement for medical school your goal is to impress your reader to the point where they want to meet you in person via granting you a medical school interview. A lot of students get this part of writing wrong and I’m going to make sure you approach it correctly. As a reader, I want you to show me what makes you unique and special. Please don’t tell me. This means you have to be very active, write in the present tense if at all possible and really work to engage your reader. Here’s the litmus test to determine how well of a job you are doing with writing your personal statement for medical school. Imagine it’s 12:37 am and your reader has been in the hospital all day, then had to attend a meeting in the evening finally getting home to a late dinner and now settling in to read over a stack of personal statements that need to be reviewed. Your reader is very tired but will certainly get through a good chunk of the medical school personal statements in the next 2.5 hours. I’m talking that despite a long and busy day your reader remembers your personal statement for medical school and is prepared to go to the admissions meeting and make the case that you deserve to be granted a medical school interview. If your medical school essay does not evoke emotion, feelings and a connection with your reader then you need to scrap your personal statement and start over. 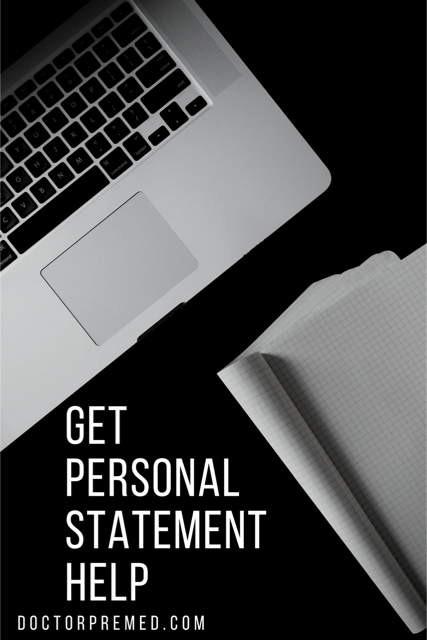 Do what you must to put together a compelling medical school personal statement. Depending on your views you may consider this to be a very scary prospect. Did you know that you will only be writing one personal statement for medical school which will be distributed to all the programs you will be applying to? This means one mistake is multiplied to every single medical school that you apply to. Another point that students fail to realize… once you hit submit on your Personal Comments you cannot edit it or make changes. Even if you catch an error immediately upon submission you are stuck with that mistake throughout the application cycle. Even if you decide to apply to more medical schools in the same application cycle you will not have the chance to go back and make changes to your personal statement for medical school. You need to be very sure and confident that your medical school personal statement is error free. If not you are going to come across as sloppy and not fully committed to medicine. Now I know you may think I’m being harsh but I’m not. You have to remember medical schools receive over 10,000 applications for only 150 spots. This means AdComs are actively looking for reasons to reject your medical school application. Harsh, but just the nature of medical school admissions. What this means is that if you have two applicants with similar MCAT score and GPA, AdComs are going to use your personal statement for medical school to determine who they will accept and who they will reject. This is one of the reasons why applicants with similar “stats” can have entirely different levels of success or failure when applying to medical school. Plus, I want you to know your personal statement for medical school is one piece of the application that you have complete control over. Unlike grades and MCAT, you have to study and even then you do not know exactly what you will be tested on, you only know the topics you are required to master. However, with your personal statement for medical school there is not guessing, it is not written under a time constraint. AdComs expert you to sit down and put together a very compelling personal statement for medical school that makes the strongest case of why you deserve to be admitted to medical school what you bring to the field of medicine. If you are able to do this then you will get a lot of medical school invites. Again, you can spend as much time as you like in crafting your medical school essay and it behooves you to ensure you did everything possible to have an awesome medical school personal statement. Don’t get lazy or think your personal statement for medical school is good enough. Writing is a process and you want to give your medical school essay the attention and time it deserves. Besides, wouldn’t it be ridiculous to have spent so much time in organic chemistry lab, sacrificing personal time to volunteer and shadow all to blow your chances of getting into medical school because you got lazy with your medical school personal statement. I suppose if you are reading this now you’re not that caliber of an applicant and you’re looking for ways to ensure you get into medical school and do know the importance of your medical school essay. I’m going to clue you into three topics that you need to avoid writing about in your personal statement for medical school. These topics are like the go-to for premeds and they just won’t cut it if you’re trying to get into medical school. As a premed it is required to do shadowing to get a glimpse of what actual “doctoring” entails and to make sure you’re making an informed decision about entering the profession. However, AdComs see this taken in the wrong direction. Premed students will often write about how they were so impressed with Dr. Jones and they want to be just like her when they are practicing doctors. Dr. Jones, has an excellent bedside manner and makes everyone feel very comfortable. Plus, she takes time to answer all of her patients’ questions and they never feel rushed during their visit. Lastly, Dr. Jones seems to do it all as she practices direct clinical care, is also a researcher and has many publications attached to her name. For all intents and purposes, Dr. Jones sounds like an amazing doctor which is terrific. However, you telling AdComs you want to be just like Dr. Jones who embodies all the best in medicine is actually detrimental to your chances of getting into medical school. You just missed a golden chance to make the case of why you should be in medicine. Do not fall into the trap of writing about a doctor you want to emulate. Your personal statement for medical school is your chance to “come off the paper” and tell us who you are and what sets you apart from others. Besides, this is your chance to write about topics we cannot find anywhere else in your medical school application so take advantage of this. I come from a family of immigrants and education was always stressed while growing up. If you’re headed down this path in your essay for medical school this is not helping your chances of getting accepted. There are plenty of first generation college students applying to medical school and also students whose grandparents were the ones to come to America. You are going to need another way to distinguish yourself during the application process to medical school. Plus, you have to realize if you are going into medicine you’re typically going to be a high achiever and understand learning is always going to be at the center. Therefore, it makes no sense to tell AdComs you want to pursue medicine because of education and being a lifelong learner since this is expected of doctors. Here’s another topic that seems to make the rounds every application cycle. You had your first anatomy class and immediately became fascinated with the human body. From what you encountered you cannot imagine yourself doing anything else but unraveling the mysteries of the human body. You want to spend the rest of your life studying the human body and what better way to make this a reality than by becoming a doctor. Try to avoid going down this route. Because as AdComs we look for ways to tease apart your essay and we’ll certainly catch you on the interview trail. You don’t want to become so enamored with the human body that we think you’re better suited as an anatomy instructor. Or even worse your fascination with the human body comes off as immature and lacking in what we would expect out of a medical school applicant. Overall, it is a very fine balancing act when it comes to addressing your passion for anatomy and how that will position you to be a great addition to an incoming medical school class. I’m going to give you a deep dive on how to actually go about writing your medical school personal statement. What’s very important is your opening paragraph. You don’t want to bore your reader. Your goal is to get their attention immediately and captivate them throughout the essay. I believe it is best to start with action, drama or mystery. As a reader you are immediately going to be intrigued and wonder about this mysterious phone call and the implications it had. All you need to do is take whatever topic you’re writing from and jazz it up so that it is not boring or mundane. That sentence isn’t exactly boring but it also doesn’t do enough to move the needle either and get you closer to a medical school interview invite. Please be sure you are starting out strong with your opening sentence and paragraph. From there you want to focus on the meat of your medical school essay. Your personal statement for medical school is not where you try to tell your life story in its entirety. It’s better to stick to two to three topics that you can go into detail about rather than trying to cover everything under the sun. The reason you want less is because you can really work to draw your reader in, evoke emotion and provide details to really set the tone of your medical school personal statement. Otherwise your writing just comes off as a smorgasbord of ideas and you have not engaged your reader enough to the point that by the time they are finished reading that they have a true sense of who you are as a person and feel it is a no-brainer to extend you a medical school interview invite. Again in your writing use the active voice and do everything in your power to connect, and come alive. Do you know what the biggest gripe of AdComs tends to be? It’s that you are not personal enough in your medical school personal statement. AdComs want the raw you. Now is your chance to tell your story, hook your reader and have them totally engrossed in your essay. Students get the wrong impression when I say become more personable. In the context of your medical school essay it means to be more emotional, talk about your feelings, how you were affected by things and show your human side. The best essays are the ones where you feel as though you are right there with the medical school applicant and get a sense of who they truly are as a person. You do not want to come off as standoffish, unemotional or just going through the motions with your writing. Remember, all things being equal between two equally qualified applicants and your personal statement becomes the deciding factor. This point cannot be stressed enough. Trust me, if you feel as though you are being too personable in your medical school essay I can almost guarantee you that you are not. Although you want to be personable keep in mind who your audience is and what the goal of your essay is so continue to write knowing that you are writing to get into medical school. Just use common sense when it comes to particular details about being personable. As you are preparing to close out your medical school essay do not bring up new information which you didn’t discuss previously. Although you want to have a captivating and engaging opening to your medical school personal statement you don’t want to have a cliffhanger ending. Any topic you mention in your essay needs to be fully covered. AdComs don’t want to be left scratching their heads or wondering how a detail fits into your overall application. If you do not have ample space to write about tidbit of information then it is wise to leave it out of your essay. This is a very important part of your medical school personal statement. You want to concisely recap what you mentioned in your essay and then put it into your reader’s head that the next logical step would be to invite you to a medical school interview. Now you do not go out and outright say that you want to be invited to an interview. This is all positive and forward thinking so that almost at a subconscious level your reader will give you your most wanted response which is a medical school interview. At the same time you are also projecting confidence when you close your essay in this manner. If you think this is a cocky closing it is not. It demonstrates you are serious about getting into medical school and you are looking forward to moving ahead in the application process. Plus, you have to remember getting into medical school is super competitive. You have to push the limits and stand out among everyone else who is applying. I hope this helped you get started in the writing of your medical school essay and you have gained some additional confidence in what to write and how to write it. Do you have additional questions about your “unique” situation and what will help you get into medical school? If so, then I strongly encourage you to look into my personal statement editing services. This will allow us to work together one-on-one to ensure you have the perfect medical school essay that showcases all of your attributes so that you can outshine the competition. Honestly, personal statement editing is my “superpower” students are absolutely amazed at the transformation they get in their essays. You will go from a diamond in the rough essay to one that you are excited about and more importantly will get you a ton of interviews. Besides, last year 100% of the students I worked with got into their top choice programs. Let’s work together to ensure your medical school dreams become a reality.